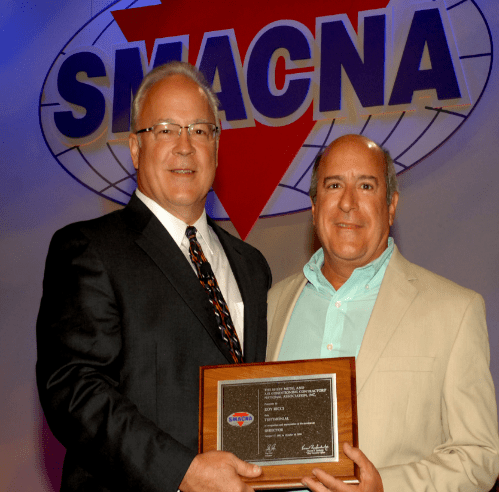 In late October, the Sheet Metal and Air Conditioning Contractors’ National Association (SMACNA) held their 73rd Annual Convention in Phoenix, Arizona. Over 30 people from SMACNA-Boston chapter attended the event. 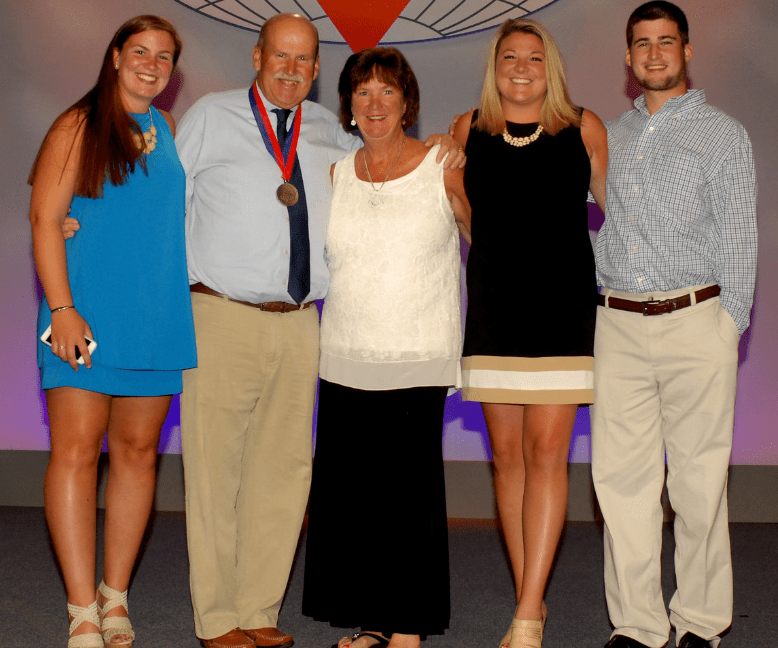 As an affiliate of SMACNA National, SMACNA Boston Executive Director Tom Gunning has been very active in SMACNA National for decades and was honored at the latest convention by being inducted into SMACNA’s College of Fellows. Tom was one of 6 individuals being inducted to the College this year in a process that requires a nomination from your peers. Tom’s family traveled to Arizona to see him receive the award and was joined onstage by his wife. In addition, Roy Ricci of McCusker-Gill Inc., was honored for his years of service on the SMACNA National Board of Directors. As well as making an impact nationally, Roy is an active member of SMACNA Boston and the BTEA. Please join us in congratulating Tom and Roy and thanking them for their dedicated service to our industry and members both locally and nationally.